rement, re-ment, miniatures, all, retro, green, plate, bowl, dishes. Here is #4 from the Re-ment (rement): "Dish Collection" series. One side of the info card is used as the place mat for this set. 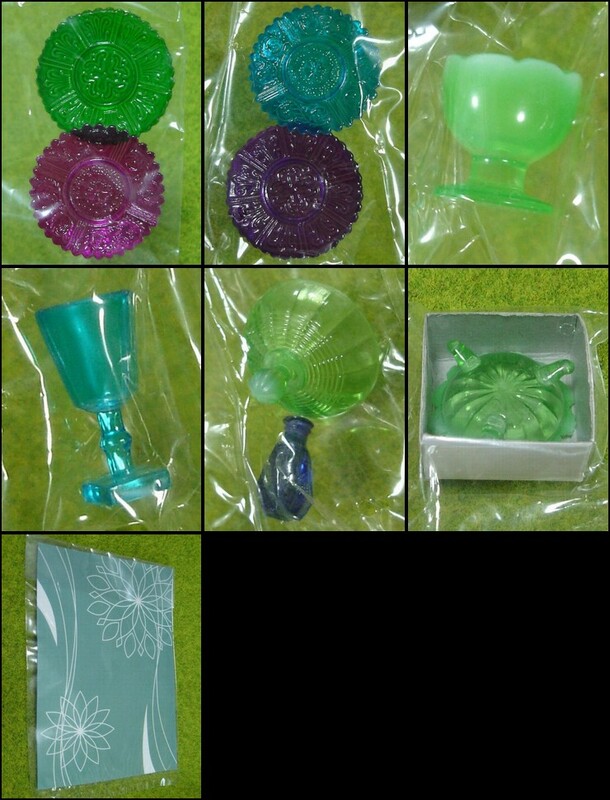 Keywords: rement, re-ment, miniatures, all, retro, green, plate, bowl, dishes.